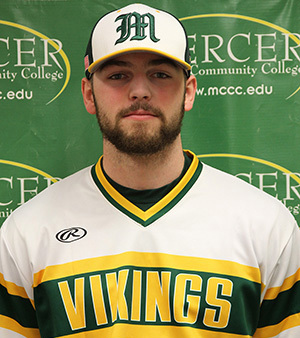 West Windsor, N.J. – Six Mercer County Community College MCCC) student athletes have earned National Junior College Athletic Association (NJCAA) Academic All-American honors for the 2016-17 academic year. According to MCCC Athletics Director John Simone, to qualify for this honor, athletes must complete two semesters as full-time students and earn at least 24 credits. “The college congratulates all six athletes. Playing on a team at the college level is a major commitment. These athletes had the focus and fortitude to achieve on a high level in their sport and in the classroom,” Simone said. 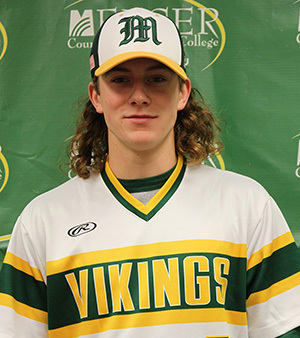 Three members of the Vikings baseball team, which ended the season as the NJCAA national runner-up, were on the list. Freshman Sean McGeehan of Hamilton, who is studying Business Administration, earned Second Team honors. 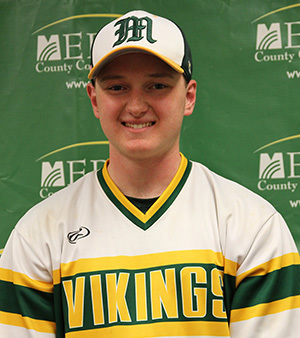 McGeehan was an outfielder for the Vikings, appearing in 46 games and hitting .299 with 14 RBIs. Two other freshmen, utility player Kellen Hardy of Branchburg and pitcher Peter Nielsen of Freehold, earned Third Team Academic All-American honors. Hardy, a Business Administration major, appeared in 25 games, batting .345 with 7 RBIs. Nielsen, who is studying Math, went 2-2 in 10 games and struck out 27 in 29.1 innings of work. 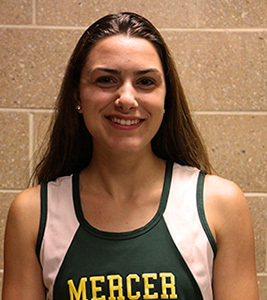 Also named to the Third Team Academic All-American list were two members of the women’s cross country team: sophomore Megan Jean of Burlington, who earned her A.A.S. 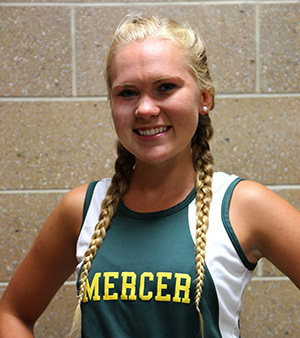 in Advertising/Graphic Design in May; and freshman Jackie Leszcynski of Robbinsville, who is studying Education. Leszcysnki and Jean were members of the first Vikings squad to win the Region 19 title and compete in the NJCAA Division I National Championship in Kansas. 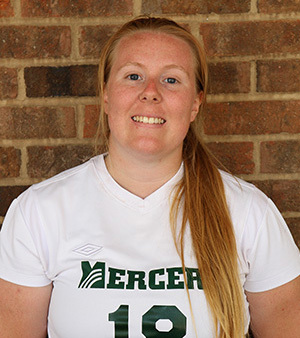 Additionally, women’s soccer player Amanda Trendell of Wrightstown, who graduated with an A.S. in Exercise Science in May and will transfer to Georgian Court University, was named a Third Team Academic All-American. Trendell was a two-year defender for the Vikings, whose combined 2015-16 win-loss record was 23-9-2. There are three levels for NJCAA Academic All-American Teams: First Team honors for a GPA of 4.00; Second Team honors for a GPA of 3.80 to 3.99; and Third Team honors for a GPA of 3.60 to 3.79.